IIHS Top Safety Pick. Scores 39 Highway MPG and 30 City MPG! This Nissan Sentra boasts a Regular Unleaded I-4 1.8 L/110 engine powering this Variable transmission. SUPER BLACK, CHARCOAL, PREMIUM CLOTH SEAT TRIM, [W10] WHEELS: 16 ALLOY. *This Nissan Sentra Comes Equipped with These Options *[L92] CARPETED FLOOR MATS W/TRUNK MAT, Window Grid Antenna, Variable Intermittent Wipers, Urethane Gear Shift Knob, Trunk Rear Cargo Access, Trip Computer, Transmission: Xtronic CVT, Transmission w/Driver Selectable Mode, Torsion Beam Rear Suspension w/Coil Springs, Tires: P205/55HR16 AS. 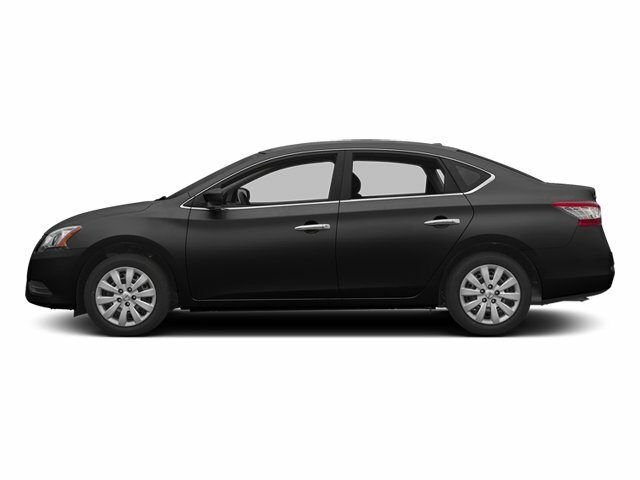 * The Experts' Verdict...*As reported by KBB.com: If you're more about comfort, style and really good in-car infotainment and navigation, the 2014 Nissan Sentra beats out a number of competitors while still keeping its price low and its fuel consumption even lower. * Stop By Today *Come in for a quick visit at Larry H Miller Chrysler Jeep Dodge Ram Surprise, 13165 North Autoshow Ave, Surprise, AZ 85388 to claim your Nissan Sentra!